There is nothing as embarrassing as inviting friends over to a house with a bad, musty odor. With that in mind, you might be wondering why your house is emitting a bad odor and how you can get rid of it. 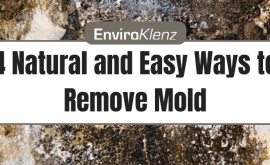 In this article, EnviroKlenz will be sharing a few tips to keep your house smelling refreshing and help you get rid of that bad odor for good. Better yet, most of these tips can be used for offices and other enclosures. This is the first step you need to take before anything else. By identifying the source of the bad odor, you are in a better position to decide on the best way to get rid of the bad smell. This also helps you to know the kind of materials needed during clean up. The bad odor may be from pets, rotting food, smoke, etc, and each type requires different forms and materials for clean-up. Sometimes the source of the bad odor may be in a different room. Old, “musty” house odors are caused by inadequate ventilation, darkness, and high humidity. This causes the growth of mold, which is the purveyor of the “old house smell”. This is the easiest way to get rid of any kind of smell in your house. Always ensure that your house is well aerated by opening the windows every morning. 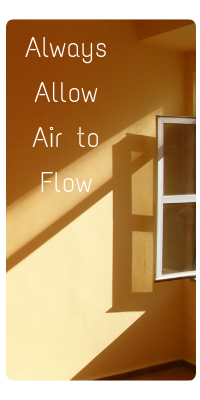 The flow of clean air evens out the odor of your house, letting the bad odors out and maintain the clean, fresh air. 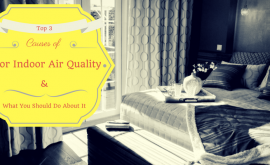 If the source of the odor is from outside, opening the windows may not be the best idea. In this case, ensure that you keep your dehumidifier or air-conditioner running. Darkness is a catalyst for the growth of molds in your house. In order to mitigate the growth of mold and the emission of MVOC odors, always ensure that the sun shines into your house. The ultra-violet rays of the sun are effective disinfectants of both air and water. When you allow sunlight to shine into your house, you get rid of odor causative agents as well as mitigate the growth of mold. Always keep your house clean by washing it with detergents and smelling soaps. Many assume that vacuum cleaning is enough. Well, that is not the case. You need to designate at least two days every week when your house gets a major clean up. This includes thorough washing of walls, floor, carpet, couch, toilet, kitchen etc. Also, ensure that all blocked ventilation, gutters, and drainage systems are unclogged. Leakages are a major cause of bad odor and facilitate the growth of mold. Further, leakages from the kitchen or the toilet may contain agents that cause the bad odor in your house. Always look out for possible leakages and ensure that they are repaired swiftly. 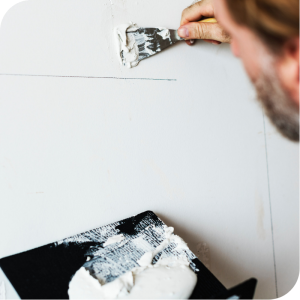 If your house has been prone to smoke, you will be required to paint your house to get rid of the smoky smell. You can have the smelly room painted afresh with your preferred scented paint. -Place orange or lemon peels under the gutter to give you a sweet, fruity smell. -Place an open box of baking soda in an unobtrusive place like the top of your kitchen cabinet, or in a room with a bad odor. It helps to absorb the bad odor and humidity. -In the basement, cut an onion and place it overnight to absorb any unwanted odors. Other neutralizing products that can be found at home include white vinegar and dry charcoal briquettes. -Plug scented sprays in a clean room to maintain the fresh smell. With the above measures taken, you should be able to get rid of any form of bad odor. It is important to ensure that these measures are taken as frequently as possible to guarantee you a fresh smelling house always. 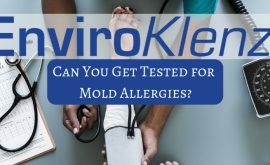 Can You Get Tested for Mold Allergies?